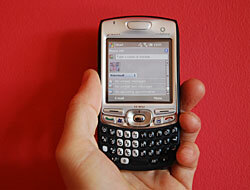 Could a Windows based Treo trump the Palm OS version? We love playing with the latest widget-packed smartphones, but after a brief and ultimately rather unpleasant sojourn into the world of Windows Mobile, we ran screaming back to our Palm Treo 650, despite its age. Over two years after the release of the wildly successful Treo 650, Palm released the Treo 750v, a Windows version of their popular smartphone and it's now available contract-free in the UK. Would it be enough to tempt us to jump back to the world of Windows? First off, we have to say that the phone looks fabulous, inheriting the ergonomics of the Treo 650 but adding a sleek non-slip rubberised finish, a slightly smaller profile and, of course, no trademark pointy-stick antennae. Sure, it may not be the smallest smartphone around, but it fits beautifully in the hand, has a reassuringly solid weight and looks very business-like in its natty dark blue and silver finish with backlit QWERTY keyboard. Unlike some of the teensy weensy, delicate looking numbers we've seen, this definitely looks like phone that can handle the rough and tumble of the boardroom - and a boozy night in the pub after. 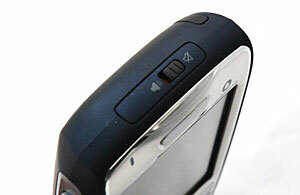 The Treo inherits the same excellent central five way d-pad controller as its Palm predecessors, with left and right 'soft keys' under the screen (Palm calls them 'action buttons'), complemented by 'call' and 'end call' buttons. Next to the D-pad can be found a Windows key for accessing the 'start' menu and a handy 'OK' button which saves you having to yank out the stylus to close programs and dialogue boxes (something that Windows Mobile users will be very familiar with). On the left hand side of the Treo there's just a volume up/down control with a customisable function button below, while the opposite side has nothing more than a covered flap for the mini SD card slot and an infra red port. Although we're always up for sleeker and smaller memory formats, we find the miniSD card an annoying addition. 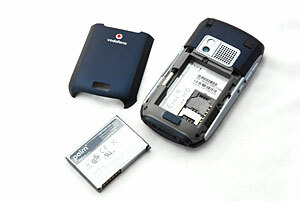 Almost all of our other gadgets use the larger SD card, and it's handy being able to 'borrow' the card out of the Treo 650 when memory space on our camera runs low, or transfer images directly off the camera's card into the Treo for resizing and emailing. The mini SD card also meant that we were unable to add Wi-Fi to the Treo using the Sandisk Wi-Fi SD card we bought last year. There are, however, some miniSD Wi-Fi cards becoming available now. One of our favourite features of the Palm can be seen in the top of the phone along with the stylus silo: the on/off switch. Anyone used to battling with endless menus just to turn off the phone's ringer (and then never being quite sure if it's actually turned off or not) will love Palm's simple solution which lets you turn off the device with a simple switch (with a short vibration for confirmation). On the back of the camera can be found a 1.3 megapixel camera with a 2x digital zoom, a large speaker and a shiny button that acts as a mirror for self-portraits (although the convex shape means that you'll end up looking like Joyce Grenfell). The phone cover slides away underneath the camera, with a 1200mah battery and SIM card slot lurking inside. 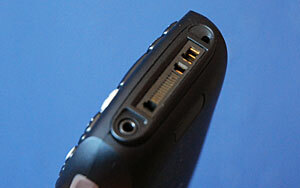 The bottom of the phone houses the headset jack, sync/power connector and the microphone. Although some may prefer it if Palm used a mini USB jack like most other smartphone manufacturers, it's good to note that older Treo cradles will work with the 750v. 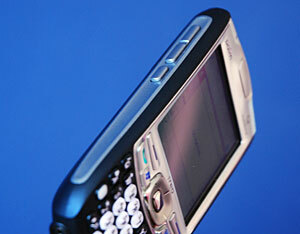 Firing up the Treo with a push on the red 'end call' button brings up a smartly redesigned Today screen with two input fields; one for typing in a name or number from your address book and the other for directly searching Google. A nice touch. The phone number look-up box dynamically offers suggestions from your address book as you type and works well, and there's also the option to dial favourites by clicking on their mugshots. The start page also lists unread email and text messages and upcoming appointments, with icons at the top indicating signal strength, GPRS status, battery life time and Bluetooth on/off. Although the touchscreen screen is bright and clear, things do feel a bit squeezed with just 240�240 pixels on offer, although the screen remained easy to read, in even bright sunlight. Naturally, with such a small display you're not going to get the full mobile multimedia experience, but videos and music played back OK and the sound from the speaker was loud and clear. The modest 300-MHz processor managed to make videos move along with only the odd little stutter, and there was a relatively generous 60MB of free memory onboard, with up to 2GB of extra storage available through the miniSD card slot. Call quality and volume was pretty good with the 750v, and we had no problem hearing ringtones so you won't be likely to miss a call. Reception was good too. 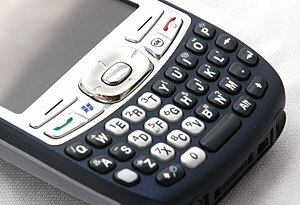 Palm has brought over the superb threaded SMS messaging app from the Treo which displays text conversations like an IM chat. It works fabulously well. 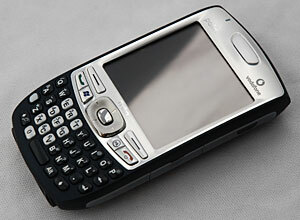 We've always liked the QWERTY keyboard on the Treo, and the 750v presents a rounded, more modern appearance with the keyboard lighting up like a mobile disco in your pocket. Although the keys are quite close together, it's easy to knock out lengthy emails and nothing will persuade us that a fancy touch screen can even come close to proper hardware keys - so unless Apple have done something truly magical, we won't be joining the queue for an iPhone quite yet. 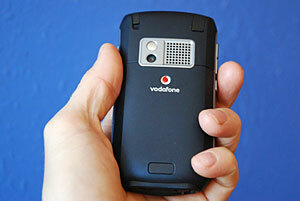 The 1.3 megapixel camera was adequate for quick snaps and blogging but nothing to get excited about, and the quality of the video recording seemed worse than the older Treo 650. The Windows camera interface was certainly inferior to its Palm equivalent and we weren't too impressed with a 'sharing violation' error which appeared when we tried to delete a video. Palm's reluctance to stick a high spec camera in their phones has always baffled us - the recent Treo 680 was lumbered with a paltry 640 x 480 VGA number, and even the soon-come high end Treo 755p is only expected to come equipped with a 1280 x 1024 SXGA 1.3 MP affair. In fairness, we have found that the Palm's cameras have often outperformed camera phones claiming higher resolutions, but a camera upgrade (complete with flash) is long overdue in our book. In line with its business aspirations, the 750v comes with mobile versions of Internet Explorer, Word, Excel, PowerPoint, Outlook, Picsel PDF Viewer and Windows Media Player. Unfortunately, the Treo's d-pad wasn't fully integrated with some of these apps, so the trusty stylus had to be launched out of its silo from time to time. There's also a voice command application that managed to just wind us up (the thing kept turning back on and barking robotic demands for us to 'please repeat' until we finally worked out how to silence it). 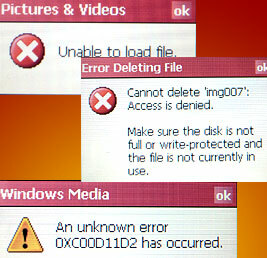 We also suffered some annoying Windows error messages that popped up from time to time, although this was more the fault of the operating system than the Treo. Lord knows we've tried to love Windows Mobile, and much as we admire its technical capabilities, its unfathomable quirks can drive us mad. The phone packs a fair bit of connectivity: GSM/GPRS/EDGE/UMTS radio, 850/900/1800/1900 GSM bands, 850/1900/2100 UMTS bands but Wi-Fi is noticeable by its absence. For some this may be a deal buster, but if you've got a good data deal with your network provider you can probably get by just fine (or you can always add a Wi-Fi card). There's also Bluetooth 1.2 on board (supporting streaming to stereo headsets and wireless synchronising) and Infrared. The 750v can also be used as a wireless modem, so you can flip open your laptop and access the Internet at 3G speeds via Bluetooth. 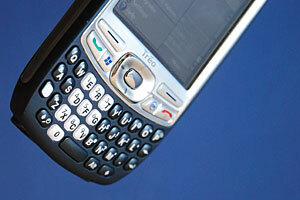 We liked the Treo 750v. Although it's somewhat of a lardy beast by contemporary standards and the omission of Wi-Fi may prove a major sticking point for some, we found it one of the most usable Windows smartphones yet. The phone was comfortable to hold and to use, looked smart, and the Palm's finely tuned ergonomics meant that we weren't wasting time rummaging about in sub menus and fumbling for the stylus for everyday tasks. We've still got issues with Windows Mobile, mind: the fact that programs don't actually close when you click on the big 'X' in the corner is one of the stupidest ideas that Gates & Co has ever come up with, and at times we found the interface exasperatingly fiddly. So we'll be staying with the Palm OS for now, but if you're looking for a solid and straightforward smartphone that packs a load of functionality into an easy to use package, the Treo 750 could be worth a closer look. It's certainly one of the very best Windows smartphones we've ever used. 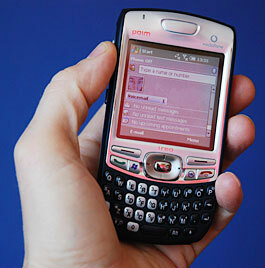 » Palm Treo 650 - why I still love the Treo.